Palankasha is a form of natural ingredient frequently seen in supplements meant to help people lose weight. It is a substance sourced from a kind of gum resin sap. 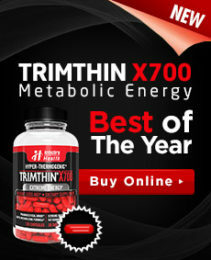 It is used for many different purposes including for dieting but also several other types of effect. There are several different names that can be used for this substance to identify it on an ingredients list. Among the other names that a customer could see on a supplement package label can include: guglipid, gum guggal, Indian bdellium, mukul myrrh tree, yogaraj guggul gum resin, commiphora wightii, balsamodendrum mukul, devadhupa, and guggal, among others. 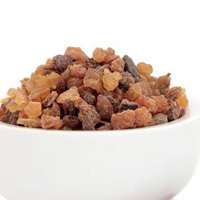 The ingredient is obtained by extracting it from the sap of a tree called the Commiphora mukul. That tree is native to India and has been used for medicinal purposes over thousands of years. There is actual documentation of the use of palankasha in certain kinds of medicine which dates back 2600 years ago. That ancient document referred to it as an atherosclerosis treatment. Today, however, it is for weight loss that palankasha is most commonly used, particularly in the west. Still, it is also found in supplements for many other purposes, including for reducing the hardening of arteries, decreasing high cholesterol levels, overcoming certain skin diseases such as acne, and even for certain types of pain such as arthritis. Those who use this substance believe it works by way of some of the naturally occurring chemicals within it. They react within the body and decrease bad cholesterol levels and triglycerides. Those same naturally occurring chemicals are also thought to work as anti-inflammatory agents in certain circumstances. For instance, they may reduce redness and swelling in certain conditions such as acne. Still, while it’s believed that some forms of acne may be treated using this substance, it focuses on only certain symptoms. For example, in some forms of acne – such as the nodulocystic acne types – it can offer a reduction in pain, swelling and redness. Many feel it also reduces the frequency of break-outs. That said, while many swear by palankasha as an acne treatment, there is little to no evidence to support its effectiveness for the other purposes for which people take the supplements. This includes helping people with weight loss. Any evidence that suggests it may be effective is extremely limited and usually involves combining it with other ingredients such as phosphate, L-tyrosine and/or hydroxycitic acid.